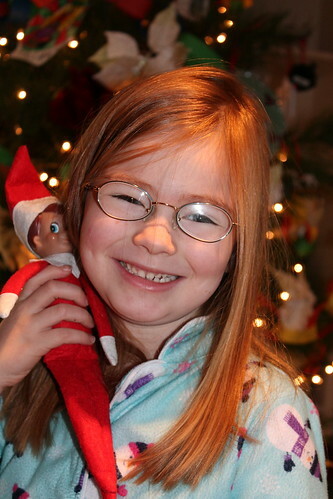 As you know (smile), Elves on the Shelf must leave on Christmas Eve night to go help Santa deliver the presents. 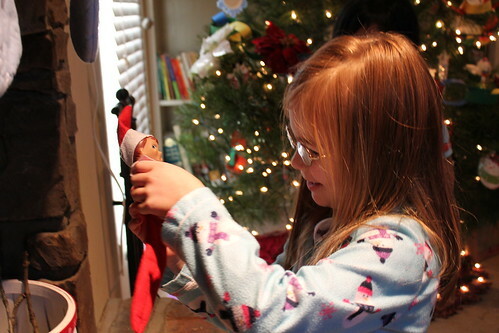 This can be a very sad time for kids...especially my kiddos :o( This was our first year to have an elf visit and at first, I was skeptical. 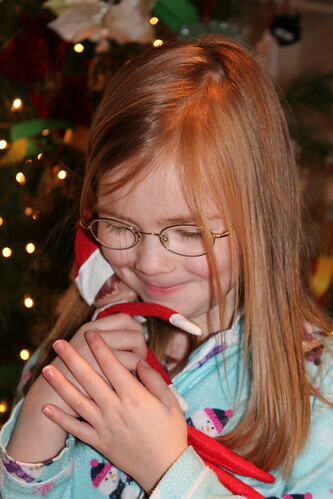 However over the course of the month, the kids had SO much fun finding Sparkles each morning, writing letters for her to take to Santa and whispering to her throughout the day :o) They knew our time with Sparkles was coming to an end and the girls all expressed sadness over Sparkles leaving. I have to admit...I knew I was going to miss Sparkles too! 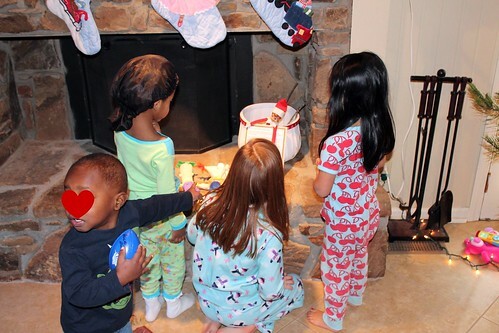 They all sad their "goodbyes" to Sparkles the night of Christmas Eve and went to bed. 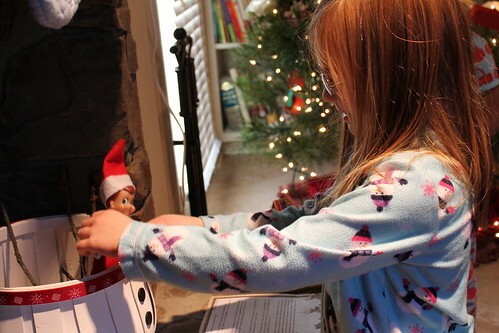 They were SHOCKED to wake up Christmas morning and find Sparkles sitting by the fireplace! 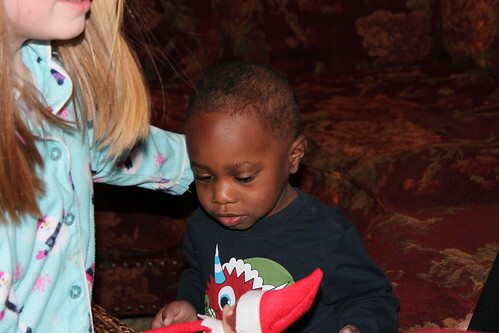 Baby Boy is saying, "Sneaky elf" in the picture :o) LOVE that baby! 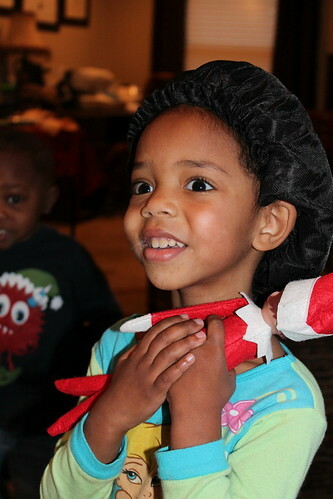 The kids didn't know what to think when Sunshine read the part about being able to touch the elf for a few minutes after reading the letter! It was so funny! 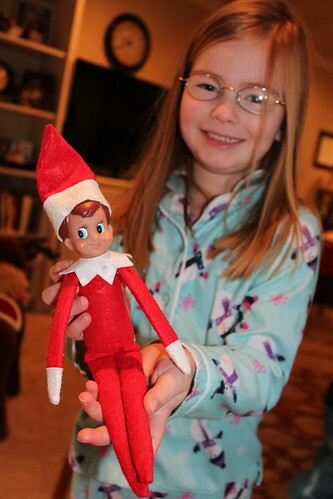 If you aren't familiar with the Elf on the Shelf, if a human touches the elf, the elf will lose her magical powers and will not be able to fly to the North Pole anymore. 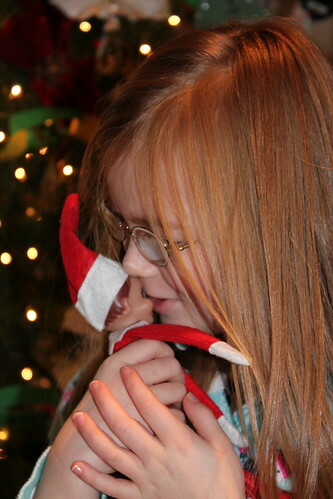 It also makes the elf very sick. 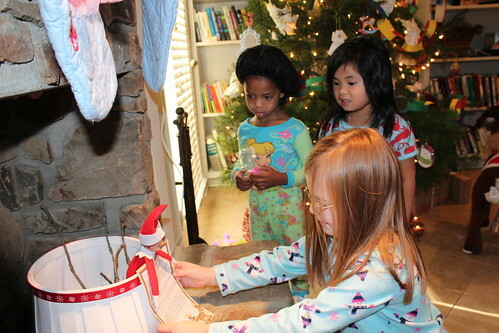 When Sunshine finished reading the letter, Sweet Pea and Little Pumpkin REFUSED to touch the elf even though the letter said it would be okay. Ha! 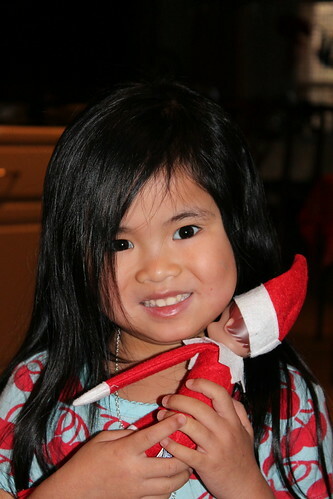 Sunshine was elated to be able to touch the elf! Look at the PRECIOUS face! After seeing nothing crazy happened when big sister touched Sparkles, Little Pumpkin took her turn saying goodbye. 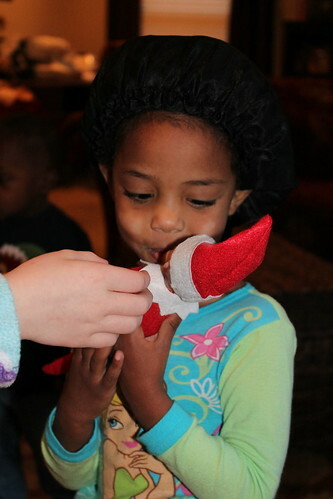 Sparkles was a very good elf...we are looking forward to seeing her next December!!! Putting her back just as they found her. Safe travels Sparkles! 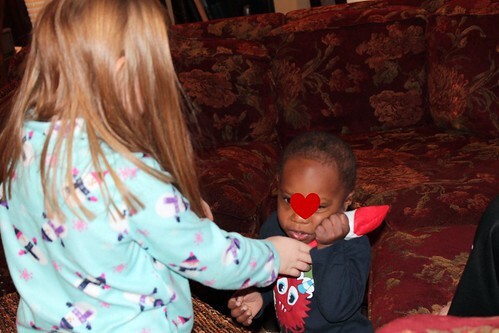 What a neat and precious story.Your children area all beautiful and I love reading your blog. Leveta wife to Carl,Mom to Chad 19 (bio) Kaitrin 12 and Sam 16 both from India through Dillon International.